Home » Hair Care » Why And How To Use Avocado On Damaged Hair? Why And How To Use Avocado On Damaged Hair? Dry, damaged hair is bad for your hair health in general. It’s prone to breakage, split ends and frizz. A majority of store-bought conditioners simply coat the hair shafts with shine that over time accumulates and turns into build up – damaging your hair further. The best method to mend dry and damaged hair is to use natural ingredients that moisturize hair shafts from within, while nourishing them as well. Avocado is one such ingredient that helps in treating dryness and can bring back the tresses to their former grandeur. Read on to learn how avocado can help dry & damaged hair and how to use it on your hair. Why Avocado Is Good For Your Hair? (i) Avocado is high in fatty amino acids and natural oils that can coat the hair and help it retain moisture. The natural oils form a protective barrier and offer your hair long-lasting and deep hydration, which help in keeping you hair soft and flexible. (ii) It’s rich in vitamins A, B6, D, E, protein and minerals such as copper and iron, which nourish scalp and hair. These nutrients contribute to healthy hair growth as well. 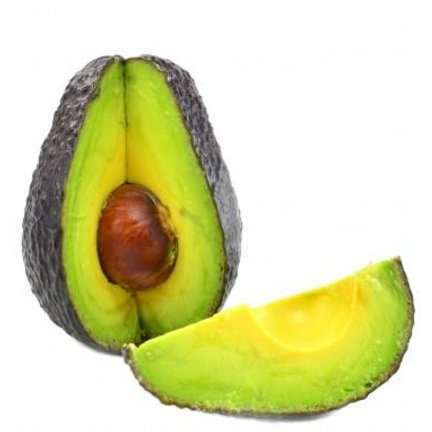 (iii) Avocado contains high amount of antioxidants such as vitamin E, which saves hair from damage and free radicals. And if you are health conscious – while you are relaxing with one of following two deep conditioning hair masks on your hair you might as well make yourself an avocado, whole grain toast. Avocado is super-healthy for your hair. The fats and oils in avocado are incredibly beneficial for mending dry, brittle and damaged hair. Coconut oil hydrates your hair so well that it helps in preventing your hair from breaking. Honey is chockfull of scalp and hair strengthening minerals & vitamins. (i) Mix well the three ingredients in a bowl, until you get a paste of uniform consistency. You may have to warm coconut oil a little bit, if it’s in solid form. (ii) Apply to slightly damp hair, thoroughly from top to bottom. (iii) Put on a plastic shower cap, and then cover your head in a warm, damp towel. The warmness helps the nutrients to penetrate the hair shaft and condition your hair from the inside out. (iv) Leave it on for about 30-45 minutes. Remove the cap and towel. Rinse your hair thoroughly and then shampoo as usual. (i) Cut the avocado lengthwise, and separate the two halves. Remove seed and peel the fruit. (ii) Put the avocado in a small bowl. Mash gently with the back of a spoon. Add the olive oil, and mix well until you have a smooth, well-combined mixture. (iii) Massage lightly the mask into your scalp with your fingertips, working the avocado mixture all over your hair down to the tips. (iv) Wear a plastic shower cap, and then cover your head in a warm, damp towel. The warmness helps the nutrients to penetrate the hair shaft and condition your hair from the inside out. (v) Wait for at least 20 minutes. Remove the towel and shower cap. Get into shower and rinse well your hair with warm water. Shampoo your hair as usual to get rid of any remaining oily residue. You can use an avocado mask to treat dry, damaged hair once or twice a week to improve its texture and luster. (i) Avoid washing your hair with harsh shampoos every day or using heated styling tools frequently. Also don’t let your hair to excessive sun exposure, too chilly/hot winds and sea/swiming pool water. (ii) Consider adding 3-4 drops of rosemary or lavender essential oil to the avocado mask for added conditioning, if you like. Have you ever tried avocado on your hair. Share your experience under the comments section below.